Was Joshua’s primary goal to destroy the Canaanites or the bloodline of the giants in Canaan? Who was the conquest of Canaan aimed at? Most would respond that the Bible teaches that it was designed to destroy the Canaanites. The word “Canaanite,” can be used as a generic term for the inhabitants of Canaan (e.g., Gen. 10:19; 12:6), or it can refer to one group among others in Canaan (see e.g., the various lists of the inhabitants of Canaan in Gen. 15:19-21; Deut. 7:1-2). 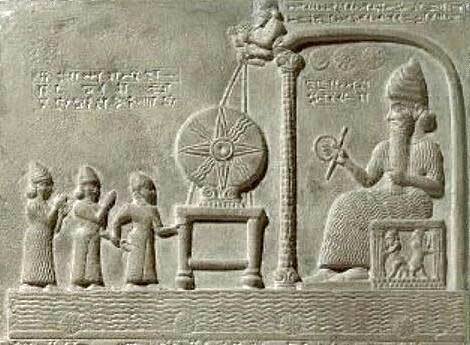 In his recent book, The Unseen Realm, Dr. Michael Heiser argues that the main enemy of Canaan was not the various Canaanite peoples themselves, but the descendants of the Nephilim (KJV–“giants”) who are variously called the Rephaim, the Anakim, and a few other names as well (see e.g., Deut. 2:11, 20). Heiser insists that it is not the Canaanites, per se, that the conquest is targeting, but rather, “In the view of the biblical writers, Israel is at war with enemies spawned by rival divine beings” (Unseen Realm, p. 203). In other words, the Conquest of Canaan was more than a physical battle between Israel and the Canaanites, it was a spiritual battle between Yahweh and the gods of Canaan (including those peoples descended from the bloodline of the Nephilim). At first glance, some may scoff that this is just some sensationalist approach to the problem of the Conquest designed to sell books. However, Heiser is no amateur seeking to make a quick buck. Instead, he is a well-known and respected scholar of the Hebrew Bible and ancient Semitic languages. He is also a scholar in residence for Logos/Faithlife and I have previously reviewed his mobile ed course on Biblical Interpretation (see here, here, and here) which is a very helpful introduction on the hermeneutics of Scripture. Furthermore, Heiser himself states that his proposed interpretation of the Conquest is not “. . . an excuse for a reading of the text that is cartoonish or bizarre” (p. 211). The rest of this article will examine Dr. Heiser’s views on the motive behind the Conquest of Canaan, noting their strengths and weaknesses. Ḥērem or, kherem (the spelling Heiser employs), is the Hebrew word translated as “utterly destroy” in English translations (see e.g., Deut. 7:2). Heiser defines it this way: “The idea of kherem is broader than warfare. Fundamental to the concept is a sanctioning of some person or thing because it is forbidden either due to an accursed status or due to Yahweh’s exclusive ownership and use” (p. 203). In other words, the concept of ḥērem has cultic connotations. By that I mean something that is taken out of the natural realm and devoted or set apart to Yahweh. This sets the Conquest of Canaan in an atmosphere of spiritual warfare. Some scholars, including Heiser, refer to it as “Holy War.” The key passage for Heiser regarding the Conquest’s focus on the descendants of the giants (Nephilim) is Numbers 13:32-33. According to his understanding of this passage, “. . . it is much more coherent to read the statement as indicating that the Israelite spies saw unusually tall people groups everywhere they went in the land” (p. 204). Heiser does not believe that there were vast numbers of giant clan members, but that they were scattered throughout the Canaanite population. He contends that, “. . . kharam in the conquest accounts is used only of assaults in cities or locales that overlap with giant clan population clusters” (p. 205). He notes that the one exception to this is Deuteronomy 7:1-2 (I will return to this passage later). Other passages which seem to lend strong support for Heiser’s view include Deuteronomy 9:1-2 and Joshua 11:21-22, which are interpreted by some to indicate that the Anakim existed in large numbers throughout Canaan. Heiser is more cautious stating that these passages, do not “. . . require the conclusion that Anakim are to be equated with the entire population of Canaan. Rather, it could just as well mean that wherever (author’s emphasis using italics) Anakim were encountered within Canaan they were eliminated” (p. 205, n. 8). In the interests of not overextending our discussion here, I have chosen a statement by Heiser that summarizes his position. He states, “The point of this brief reconstruction is not that Israelites took only the lives of the remnant of the giant clans. Others were certainly slain. The point is that the rationale for kherem annihilation was the specific elimination of the descendants of the Nephilim” (pp. 210-211). I would like to begin this section by acknowledging my indebtedness to Dr. Heiser. His book, The Unseen Realm, has truly opened my eyes to many of the things in Scripture regarding the spiritual realm that I did not take seriously enough, or did not understand. Furthermore, I was almost completely ignorant of the connection between the Conquest of Canaan and the Giant clans, and Heiser’s treatment of this topic has greatly enhanced my understanding. Having made these acknowledgments, I am not fully convinced of his thesis for reasons I will outline below. Deuteronomy 7:1-2 which uses the word ḥērem in relation to the Canaanites and other people groups of Canaan without any reference to the giant clans. Heiser notes this exception and offers an explanation, which is possible, but I need more convincing (see p. 205 for his explanation). Jericho and Ai were put under ḥērem according to Joshua 6:18, 21; 8:26), but there is no word of giant clans. In a footnote on these passages Heiser states, “Since these locations were put under kherem (when others were not), we have to conclude that some Anakim were known to live in these cities based on the wording of Num. 13:28-29 (p. 206, n. 10). This explanation is definitely a leap in logic. It is possible, but by no means demonstrable that we have to conclude Anakim were in these cities. My other concern is that Heiser does not address the curse of Noah on Canaan in Genesis 9:25. In my understanding, this curse provides the foundation for the why the land of Canaan will eventually be given to Abraham’s descendants and why the Canaanite peoples are to be destroyed. There is no hint of the Nephilim or their descendants in this passage. Therefore, although it is clear from later passages that the giant clans fall under the ḥērem, the curse on Canaan explains why the Canaanite peoples are to be destroyed. Unfortunately Dr. Heiser does not mention this passage in his book, nor can I find any reference to it on his website (drmsh.com). This seems to be a serious hole in his argument and I would love to hear his interpretation of this passage and how he sees it fitting into his overall understanding of the Conquest. 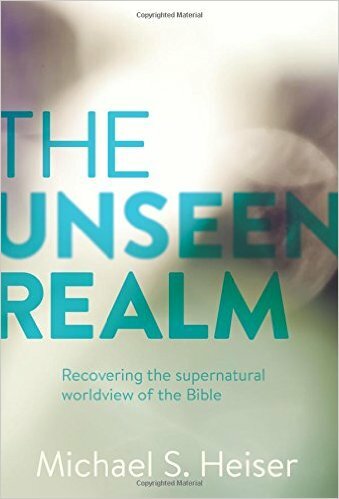 In conclusion, The Unseen Realm, is a very thought-provoking and eye-opening read. 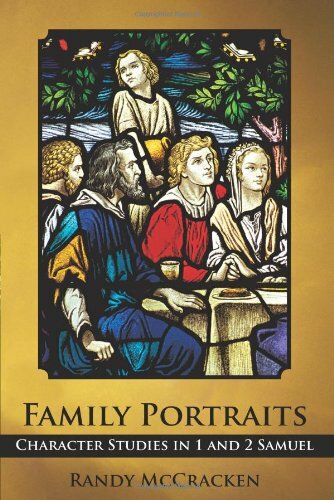 Although I am not fully convinced of every argument made, I have greatly benefitted from Dr. Heiser’s insights and highly recommend this book to those who want a deeper understanding of the Bible’s teaching on the spiritual realm. For those who would like to hear some introductory lectures on this topic by Dr. Heiser, I have included some youtube links below. Caesarea Philippi and the Nephilim? Goliath’s Height: How Tall Was He? 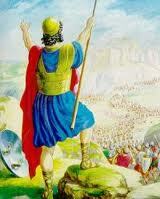 Previous PostThe “I” in Romans 7:14-25Next PostGoliath’s Height: How Tall Was He? Most interesting! I would say that a fundamental issue is that there is no such thing as post-flood Nephilim. Thus, virtually the entire endeavor in supposedly chasing them down in the Bible is a non-issue. In short, outside of Gen 6 (which, by the way, offers no physical description of them) the only other reference to them is Num 13:3 where it is stated by whom? By unfaithful/disloyal spies who were said (at a key point) to present a bad/evil report and were rebuked for it: they merely wove a fear mongering “don’t go in the woods” style scare tactic tall tale. Very interesting point Ken. You’re right, it is always important to see who is doing the speaking in a passage. There is an editorial comment in Num 13 that seems to equate the Anakim with the Nephilim and it has been my understanding that the Anakim are descendants of the Nephilim. Heiser would argue that the existence of Nephilim, or their descendants, means one of two things: 1) the sons of God came into the daughters of men even after the flood; or 2) the flood was local, not global. I’d be interested in your thoughts on this. Especially what you think of the relationship (if any) between the Nephilim and the Anakim.